Hour #1 Guests: Dr. Sebastian Gorka - internationally recognized authority on issues of national security, irregular warfare, and terrorism. Dr Gorka has served as a Strategic Advisor to President Trump, is the author of “Defeating Jihad” and “Why We Fight”. Has a new radio show that debuted on Jan 1st 2019 called America First. Morgan Sachs - Director of March 4 Our Rights in Washington D.C. which is a pro-second amendment student-led group. Most recently, she had the honor of speaking to the NRA’s Outreach Committee at their board meeting about how they can increase their student outreach Alan Beck – the lead-council attorney who litigated the Young v. Hawaii case that recently overturned the complete ban on open carry in the State of Hawaii. The Young case clarified and interpreted the Second Amendment to mean that citizens can lawfully carry arms beyond their homes. And now, Alan is one of the lawyers who have filed a lawsuit against the The Bump Stock Ban. Alan Beck is the lead-council attorney who litigated the Young v. Hawaii case that was brought before the 9th Circuit Court that recently overturned the complete ban on open carry in the State of Hawaii. The Young case clarified and interpreted the Second Amendment to mean that citizens can lawfully carry arms beyond their homes. Dr. Sebastian Gorka is an internationally recognized authority on issues of national security, irregular warfare, and terrorism. Dr Gorka has served as a Strategic Advisor to President Trump, is the author of “Defeating Jihad” and “Why We Fight”, as well as “Understanding the Enemy” for Special Warfare the official publication of US Army Special Operations Command. Dr. Gorka has a new radio show coming out on Jan 1st 2019 titled “America First with Sebastian Gorka“. 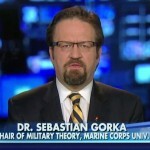 Dr. Gorka was born in the UK to parents who escaped Communism during the Hungarian Revolution of 1956. 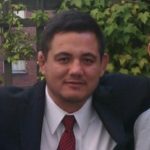 He is a graduate of the University of London, and Corvinus University, Budapest, as well as Harvard’s John F. Kennedy School of Government and holds a Ph.D. in political science. In the UK he served with 22 Company of the Intelligence and Security Group (V) of the British Territorial Army reserve but is now a proud American. Morgan Sachs is the Director of March 4 Our Rights in Washington D.C., a pro-second amendment student-led group. Being from the Parkland, FL area and having family who attended Marjory Stoneman Douglas HS, where 17 students and staff members were murdered in 2018, led to Morgan’s involvement with March 4 Our Rights, and later, working for the NRA. In early 2019, Morgan had the honor of speaking to the NRA’s Outreach Committee at their board meeting about how they can increase their student outreach. 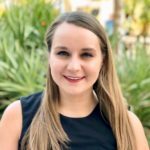 In the Fall of 2018, Morgan worked as the Grassroots Intern for the NRA. During that time, she assisted with the NRA’s campaign efforts for the 2018 midterms. Morgan is a graduate of Florida Atlantic University. She currently resides in Northern Virginia where she fights for our second amendment rights from just outside our nation’s capital. Edwin Vieira, Jr. PhD, expert on the United States Constitution, graduate of Harvard Law School, and a member of the Bar of the Supreme Court of the United States. Dr. Vieira has four degrees from Harvard. In particular, he is a graduate of Harvard Law School who has been a member of the Bar of the Supreme Court of the United States for the past 42 years. During that time, he has argued and briefed numerous cases involving constitutional issues before the Court. 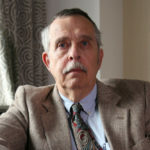 Most recently, he submitted an amici curiae brief in the important Second Amendment case Kolbe v. Hogan, a copy of which can be found on the SCOTUSBlog.com. all of which are available through Amazon.com. •Which “Gun Culture” Should Americans Defend? He appears in the extensive DVD lecture “The Purse and the Sword”, also available through Amazon.com. He also appears in numerous YouTube videos on these and related subjects. 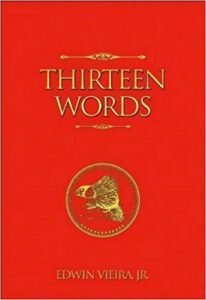 A masterful study of the first thirteen words of the Second Amendment to the United States Constitution and their significance. Yehuda Remer is The Pew Pew Jew and also the author of Safety On, An Introduction to the World of Firearms for Children. What would your child do if they found a gun somewhere it’s not supposed to be? Do they know the cardinal rules of gun safety? What about the proper safety measures every gun owner takes at a gun range? Do they know proper protocol? 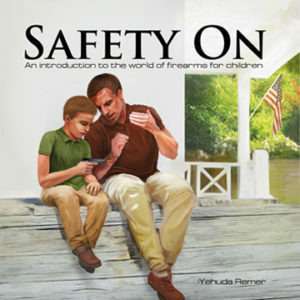 This books aims to cover all aspects as an introduction to the world of firearms for children. Those questions were answered with two simple question of my own. “Where do you suggest I teach my children about gun culture in America? Should I leave that to the media and Hollywood?” There was no response. Dr. Sebastian Gorka – internationally recognized authority on issues of national security, irregular warfare, and terrorism. Dr Gorka has served as a Strategic Advisor to President Trump, is the author of “Defeating Jihad” and “Why We Fight”. Has a new radio show that debuted on Jan 1st 2019 called America First. Alan Beck – the lead-council attorney who litigated the Young v. Hawaii case that recently overturned the complete ban on open carry in the State of Hawaii. The Young case clarified and interpreted the Second Amendment to mean that citizens can lawfully carry arms beyond their homes. And now, Alan is one of the lawyers who have filed a lawsuit against the The Bump Stock Ban. 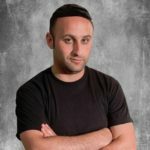 Yehuda Remer – known as The Pew Pew Jew and also the author of Safety On, An Introduction to the World of Firearms for Children. Yehuda is a dad with young children, and he recently authored a blog about what to do when other parents ask if you have guns in the house. Edwin Vieira, Jr. PhD – an expert on the United States Constitution, graduate of Harvard Law School, and a member of the Bar of the Supreme Court of the United States. Share the post "GunFreedomRadio EP145 Be the Ball, Originally Aired on 1.19.19"